Quick post today as its The Tuesday Ladies class. 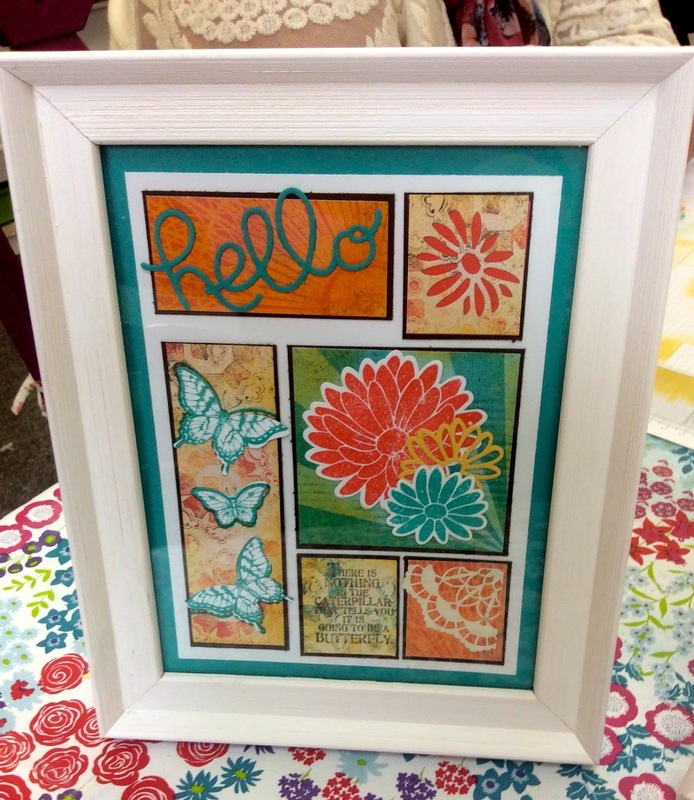 This class started as a beginners class, now 8 months on the ladies are independent crafters, they have learnt to use the trimmer, daub with effect, use the big shot, make a decision about colours and many more skills. We laugh, eat cake and put the world to rights. This is todays make, next week we are going back to watercolour backgrounds.